Yajin is a part-time worker at the moonbase, where he helps to fine-tune the guns on the base's various warships, including the Queen Fuji. 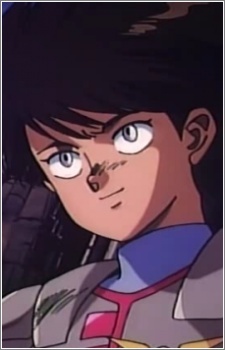 A fifteen year-old young man of Chinese descent, he can be quite sarcastic at times, and has lied to Iczer-3 on at least two separate occasions. Yajin has a massive crush on Nagisa, and after Iczer-3 summoned Iczer-Robo to defeat Insect, he took it upon himself to punish Iczer-3, throwing her in the brig for endangering Nagisa. He is the sole officer in charge of the Queen Fuji's weapons systems, and is also a fairly good shot. After Nagisa discovers Golem's weak point during her transformation into her "Golem Jet" mode, Yajin damages her with a beam cannon shot to the shoulder.